Sweden is one of the best places in to live in Europe. It has one of the highest life expectancy rates in the world. According to current figures, the average life span for men is 79.5 years from 79.1 years in 2010. Women are expected to live until the age of 83.5, longer than their life expectancy of 83.2 years in 2010. The high life expectancy rate is attributed to the Swedish lifestyle and available healthcare services. About 85% of Sweden’s populations are non-smokers; it has the lowest smoking rate among all EU member-states. The smoking rate has been falling since the mid-1980s leading to lesser risks of developing chronic illnesses. Moreover, the country has one of the most accessible and efficient healthcare systems in the world. The country offers free and comprehensive healthcare services to both locals and expats. Aside from access to the universal health coverage, expats are also provided with public education and welfare benefits. 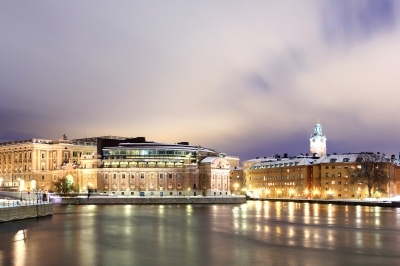 Currently, expats account for 12% of Sweden’s population. • Tax liabilities must all be settled. The Swedish healthcare system is fundamentally supported by its four pillars: shared responsibility, decentralized health services, shared medical care and international cooperation. The state-funded health coverage is under the supervision of the central government and local government agencies. Sweden’s central government establishes the principles and guidelines for the overall public healthcare system. The Swedish Association of Local Authorities and Regions (SALAR), on the other hand, does the implementation of healthcare laws. About 90% of the job of country councils involves healthcare. They are in-charge of preventive medicine and wellness promotion. They also ensure that all residents up to the age of 20 are provided with dental care services. The municipalities oversee the delivery of health and medical services to each local community. In an effort to further improve its healthcare system, Sweden is actively collaboration with the international community in improving patient safety, enhancing patient influence and advancing specialized care.